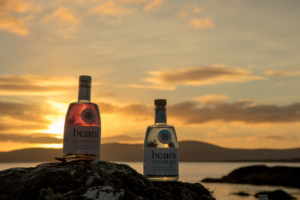 Inspired by the beauty of their birthplace, the Beara peninsula and passionate about all things gin, siblings, John and Eileen embarked on a voyage of discovery to create their own signature gin. Over 18 months they travelled across the globe meeting distillers and gin enthusiasts alike in order to learn as much as possible about this enigmatic spirit. 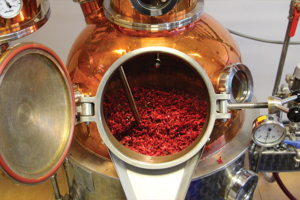 They enrolled in gin school in order to learn the craft of distilling and blending. 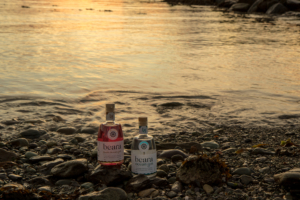 They wanted to create a spirit that reflected the natural beauty of their homeplace and their love of the sea, Beara Ocean Gin was born. 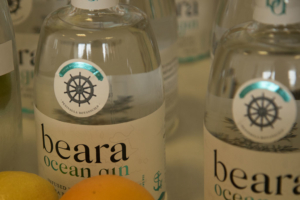 A hand-crafted small batch gin infused with wild Atlantic sea water and Ventry Harbour sugar kelp. Hand-picked fuchsia, the iconic flower of West Cork is combined with traditional gin botanicals to create a well-balanced easy-drinking gin. The installation of the modern i-still and traditional müller still was a landmark. 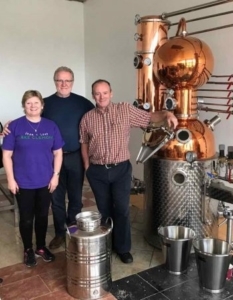 The team quickly got to experimenting with the new stills, testing recipes and tweaking processes to create a gin as impressive as the surrounding landscapes.